Congratulations to Ashton Harlan for winning the first challenge of Season 6! Her saran wrap technique and icicle bouquets made for cool nails that showed off Orly’s Builder in a Bottle’s capabilities. Ashton will be winning a GelFX Pro Kit and LED Lamp from Orly (approximate value: $500). 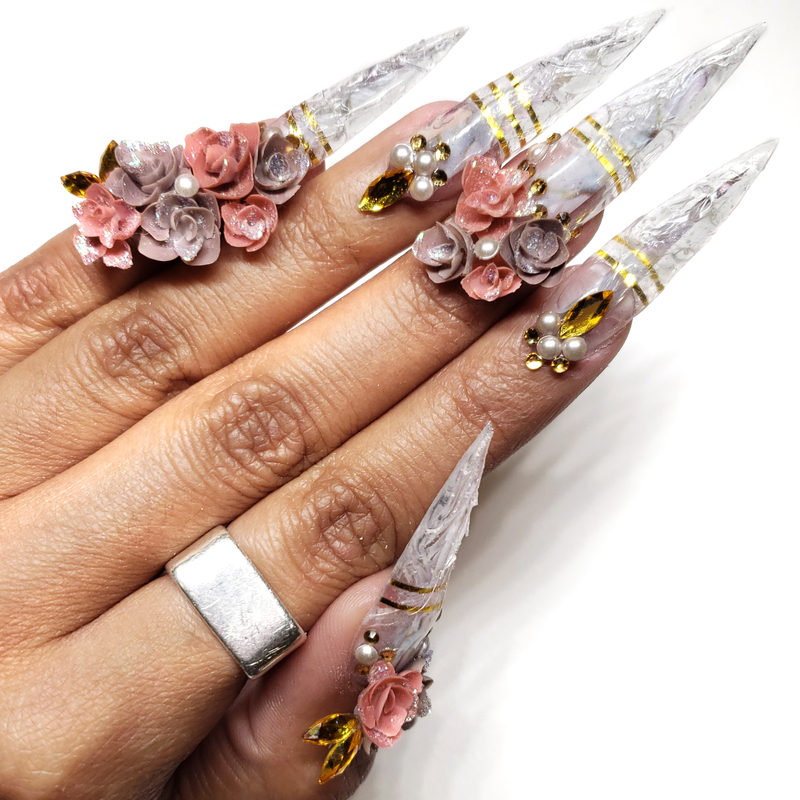 The nail tech who is packing up her paintbrushes this week is … Jerilee Fair. This won’t be the last you hear from Jerilee. She will move on to CND’s Last Chance Design Lab where she’ll have one last chance to stay in the competition. Check back next Friday to see who Jerilee will go up against in the first Last Chance battle. Tune in Monday to see the results of the Mia Secret challenge and vote for your favorites! Good luck to our remaining 11 competitors.